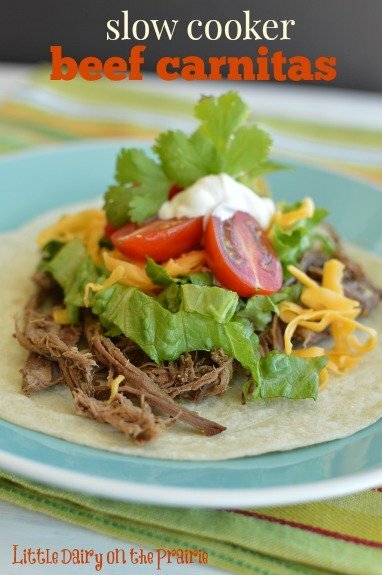 Slow Cooker Beef Carnitas could not be easier. 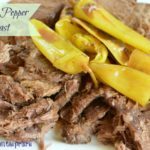 In the morning, add a roast and some spices to your slow cooker and by dinner you will have the most tender and flavorful dinner waiting for you! Mexican food is one of my favorite foods of all time. When we go out for Mexican I order something that I either can’t make at home or that takes lots of effort to make at home. Justin and Carson always orders carnitas. I admit they are yummy, but I can make them at home so easily. Justin even admitted after he ordered carnitas last time that he wasn’t going to order them anymore. He said they are just as good, or better, at home! I always use a fairly good sized roast. Then I have the meat already made for a few nights during the week. The first day, I usually serve the meat on a tortilla shell with all the fixings. Later in the week the Beef Carnitas reappear as nachos, quesadillas, in a tortilla soup, as a “carnitas” salad or even again as on tortilla shells! I’m telling you, once you have meat already made in the fridge, you have dinner in the bag! 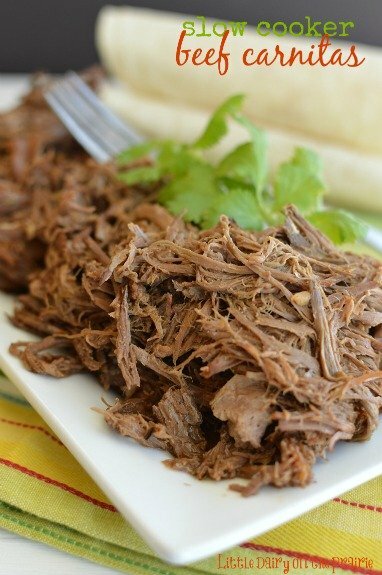 These Beef Carnitas are so versatile your family won’t even notice you are feeding them the same thing over and over! If you like the cook once and eat it three or four times theory, these beef carnitas are for you! Especially since they begin in the slow cooker. So little effort for so much yum! 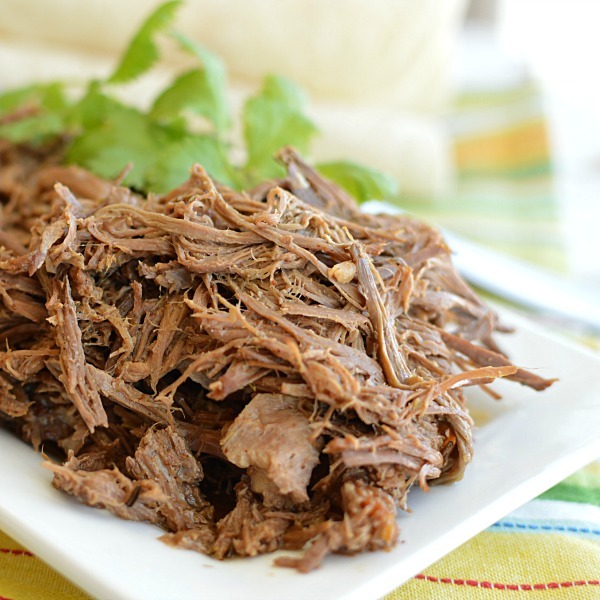 Get a head start on the week with Slow Cooker Beef Carnitas! This beef comes out of the slow cooker bursting with flavor and extra tender. These carnitas are so versatile you can serve them to your family all week and they will never know! Generously season roast with salt and pepper. Place roast in slow cooker. Pour chicken broth over meat. Cook on high 4 hours, or until it pulls apart easily. Remove roast from slow cooker. Shred. I pull it apart with two forks. Add shredded beef back to slow cooker. Add seasonings and stir to distribute. Cook roast on low for at least 2 hours. Remove roast from drippings with slotted spoon. Serve on tortillas, chips, lettuce or anything else you can imagine! This beef sounds wonderful. We just love Tex Mex dishes! Thanks for sharing with us at Simple Supper Tuesday. Carnitas is one of my favorite dishes of all time! This version looks amazing! I agree! Carnitas are so yummy and easy, and easy is a big deal at my house! Love carnitas, but have always had them made with pork. 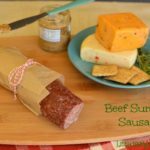 I have to try this version with beef! I think Pork is the more common form of carnitas. Since my family raises beef we eat much more of it than we do pork. Either way they are delicious! Carnitas are a family favorite at my house. We love the slow cooker + tacos= win-win! We can’t get enough of Mexican food at our house! I could eat it everyday, especially when it’s this easy! On super busy days it’s so nice to come home and have dinner sitting in the crock pot! I could eat carnitas every night! These look delicious! I love Mexican food and I do exactly the same thing with making a big roast for canitas and using the meat for different recipes throughout the week! I’ll have to try your recipe too, Amy! It looks delicious! Cooking meat once and using it all week makes my life so much easier! We love leftovers, especially when they don’t seem like leftovers! Oh my, this looks so good! We love carnitas and can’t get enough of them! 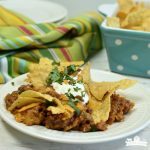 This slow cooker recipe is awesome! 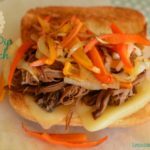 Using a slow cooker makes my life easier all year long! And who can resist Mexican food!